As a parent in Texas, I dread when the Summer comes. We average 100 degrees most of the day of July and August, and whether the windows are slightly opened or not the car gets extremely hot. The sun is just blazing down into the windows and doesn't stop until around 8pm sometimes. This car sock-shade was a wonderful opportunity for me to review. It's a bit big for my car window, but it slides on and blocks out sun which is fantastic. My daughter sits in the back in her carseat and with it on the window, she no longer complains about the sun being in her eyes. I also noticed a difference in temperature in the backseat compared to if we don't have it which is a plus. 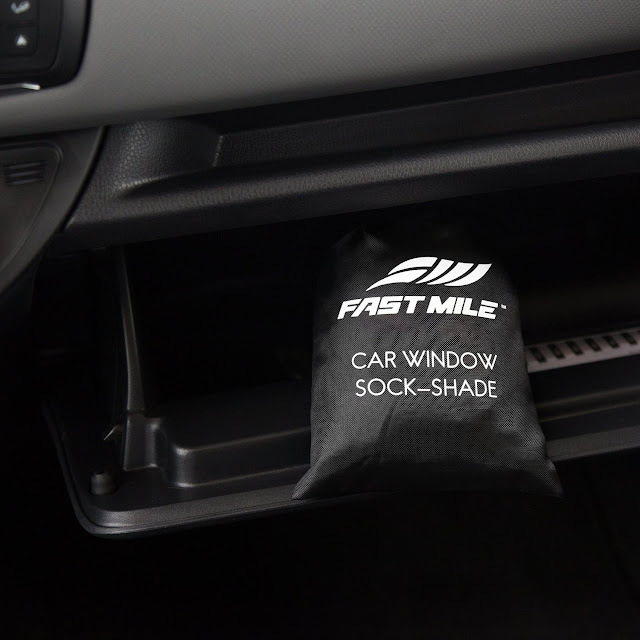 I'm really not sure what vehicle the sock would perfectly fit on, because no matter what except for large trucks you find the same sized windows but I guess having a bit more is always a good thing!